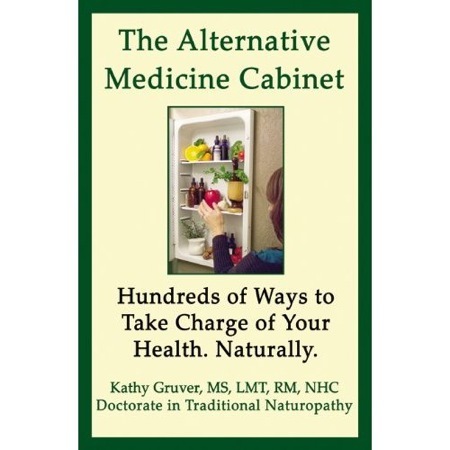 Book Review: The Alternative Medicine Cabinet: Hundreds of Ways to Take Charge of Your Health. Naturally. Today’s post is by Howling Hill. The Alternative Medicine Cabinet: Hundreds of Ways to Take Charge of Your Health. Naturally. by Kathy Gruver, MS, LMT, RM, NHC Doctorate in Traditional Naturopathy is a slim book, 150 pages. The book is comprised of a variety of different articles and essays the authoress wrote as required by her masters degree program. Because the articles were independent of each other, there’s a lot of crossover and repetition. This isn’t bad because it reinforces her teachings. For instance, Vit C is good; however, the body can only absorb so much at one time so the rest of the Vit C goes to waste in the form of diarrhea. Knowing this information is really enlightening. Gruver really pushes the idea of alternative therapies such as Bach Flower Essences, reiki, nutrition, and herbal remedies, massage, acupuncture and acupressure. She wants the reader to understand Western medicine parcels out the body and tries to cover up side effects of pharmaceuticals with more pharmaceuticals. She wholeheartedly believes the body can heal itself if given the right tools: good food, exercise, love, and laughter. I have two complaints with this book. 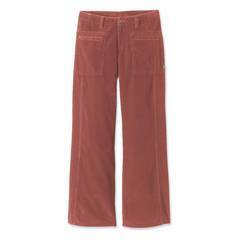 The first is really small: there is too much spacing and underlying. It was as if the publishers were trying to make the book longer than it was. There just seems to be too much white space and underlying to my eye. Second, one article she wrote about keeping healthy in a corporate environment placed the onus on the employee and let the corporate employers off the hook completely. While she held the worker responsible for getting up and moving every 50 minutes, eating well, and getting exercise, she did not hold the corporations at the same level of responsibility for providing workspaces that make individuals sick and injured. Maybe she let the corporate world off so easily because it was written for a business journal and she was writing to her audience. Aside from the above article, this book was really good. It’s an excellent book to give to your mother or elderly uncle who has no idea what holistic medicine is and wants to learn. It’s a great book to give to your Western doctor to enlighten them about other remedies for cancer, high blood pressure, or indigestion. I forget who originally uttered this, but my dad, the ER/Family Practice doctor, repeats it often: medicine (in this case of the Western variety) is the art of distracting a patient until nature heals them. I agree with you in not enough pressure is put on the corporate world to offer safe and healthy environments. Most companies will always do the bare minimum required of them — if that. Distracting is good but delaying is not. If Western treatments are delaying healing due to side effects then the “treatment” should be stopped.